Having recently finished reading 'The Island', by Victoria Hislop, about life on a Cretan island, I picked up a copy of 'The Islandman', by Tomas O Crohan. 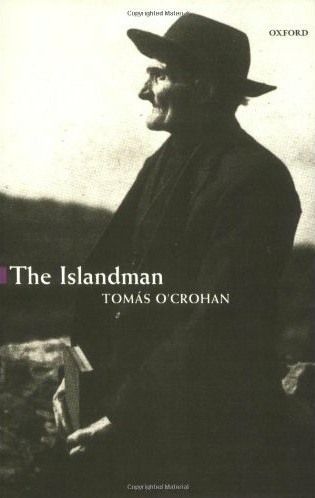 This is a first hand account of O Crohan's life growing up on The Great Blasket island, off the south-western coast of Ireland. We in Ireland are probably best familiar with the island because Peig Sayers lived there and the book she wrote about her life on the Blaskets was compulsory reading for every Irish teenager for many years. As such, it was conservatively the most hated Irish textbook of all time. Despite this blatant prejudice, I thought I would give Tomas's book a try. Written in his native Gaelic tongue but translated into English, he begins by describing his first memory, that of being breast fed by his mother... apparently he was about 3 or 4 at the time. Yes, the women were a hardy bunch on the islands. Born in 1856, this autobiography spans a whole lifetime, up until 1926, when the final chapter was written. O Crohan himself died in 1937. The book is full to the brim with adventure, sadness and countless interesting characters. More than anything though, it captures on paper a world that is long gone, where people fought against the elements and faced hardship on a daily basis. Death was a regular occurrence, but people on the Blaskets just had to get on with life and focus on securing the next meal. Out of his ten children, O Crohan lost eight in very sad circumstances and his wife too passed away quite young, leaving behind a tiny baby. The women seem to die very early and lead hard, thankless lives, with their days spent cleaning, cooking and slaving after countless children and absent husbands. 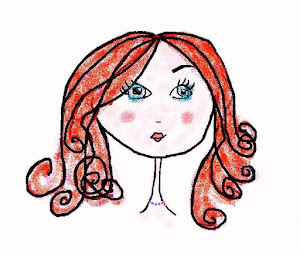 If bread was to be had, it was the woman's job to bake it. Marriages were based upon the ability of a woman to work hard, cook and care for animals. Lack of space in the family home was another reason to have your eldest daughter married-off and moved-out into an in-laws house. Love, as we know it today, was not even in the running. O Crohan too found a wife in this way, although he liked her first because of her singing voice. From his descriptions, there were always people trying to make a match for him where ever he went. He never describes what she looked like or anything about her as a individual. Instead, he only tells us how her death meant he had more work to do around the place and was left short-handed. The author is not very clear on such personal details, but instead tells the tale in broad brush-strokes, giving the reader a sense of life on the island in macro scale. One of the most memorable stories he recalls was the day the bailiffs came to the island to claim taxes. The men moved all their animals to a distant part of the island, while the women were left holding the fort, as it were. As the bailiffs approached, each carrying a gun, the women began showering them with large rocks. Children scampered about the fields collecting stones for their mothers. After three attempts and with one man left unconscious owing to his wounds, the bailiffs sailed away and did not return. Such were the women of The Blaskets. As you can imagine, each day was a struggle on the island, but the people there also knew great freedom and joy. Couples were 'matched' together in marriage and at times there was plenty to eat and drink. There was much celebration and drinking whenever a pig was sold, and drinks of commiseration too when one was not. Many a good man was lost to the pleasure that alcohol could bring and O Crohan explains this at the end of the book by saying that they drank so much because of 'the need to have a merry night instead of the misery that we knew only too well before'. The story also tells of the heartbreak of separation and emigration, as countless young people left the island in search of a better life in America. What I did not know was that so many returned after a few years only to leave again a few years later. From such examples we can see the conflict that raged in the lives of the islanders: wanting a better life for themselves, but being so instinctively drawn back to their island home. I cannot imagine how these people coped with life astride two very different worlds: forsaking the traditions of the Great Blasket for the modernity of Manhattan. So, if you fancy taking a step back in time, to see how Irish men and women survived on this tiny outpost, called the Great Blasket Island, in the middle of the Atlantic Ocean, in the middle of the 19th century, then 'The Islandman' is the book for you. You certainly will never forget it, and let us hope we will never forget the men and women of The Blasket Islands, for we certainly never will look on their like again. Thanks for your comment Russell. I have amended the 'Lump of rock' description...fair comment. I was still touching up phrases when I posted it. Wasn't expecting someone to read it so fast! I am ashamed to say I have never been there, but I plan to overcome for fear of the sea and visit there soon. I will get myself a copy of 'Twenty Years a Growing' on your recommendation and will re-read a translation of Peig while I'm waiting. Can't believe you actually stayed in Peig's house... amazing! Delighted to hear you'll be reading O'Sullivan ... and thanks for changing the bit about the rock! It is rocky, to be sure, but also very very green. Sad to say, the B&B operated out of one of Peig's former homes is now closed -- they used to serve lovely Irish food and even had a resident cat (dubbed the "Blas Cat" of course), but until the new national park visitor center is set up, there are no facilities there. I think Sue Redican, the Blasket weaver, is still there in the summers, though (her house is next to the ruins of Maurice's). The ferry ride there can be a bit choppy -- anti-seasick pills are a good idea -- but it is one of the most beautiful places on earth I've seen and well worth the journey.